The husband of the vice mayor of Clarin town was shot dead by a still unidentified gunman at his resort on Sunday afternoon in what could be the first election-related violence before the 2019 midterm polls. Clarin police chief Sr. Insp. Fernando Peroramas identified the fatality as Ricardo “Recap” Aparicio, 44. According to Peroramas, police are looking into illegal gambling and politics as possible motives behind the killing of Aparicio. Aparicio was projected to run for mayor in 2019 and was linked to the illegal numbers game, “Swertres,” said Peroramas. “He is also a known Swertres financier in Clarin and other municipalities in Bohol. Other possible motives are likewise being looked into,” Peroramas added. 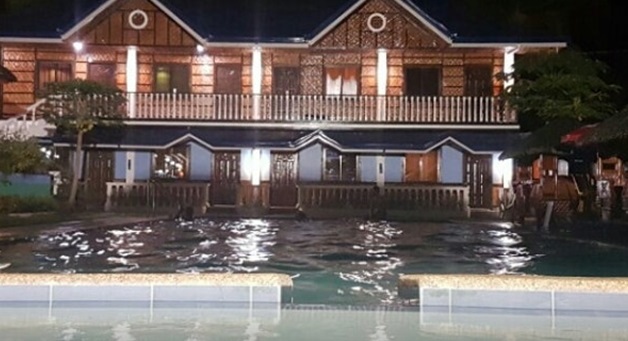 Aparicio was gunned down inside the 4Js Inland Resort in Barangay Bacani at around 5 p.m. while he was talking to one Jonita Zapra. He died instantaneously after sustaining gunshot wounds in his face, neck and chest. Two suspects riding a motorcycle stopped near Aparicio and Zapra as one of them alighted the vehicle and shot at Aparicio four times. One Roel Aparicio, an employee of the resort, was also shot by the gunman. He was hit in his body and was brought to the Governor Celestino Gallares Memorial Hospital in Tagbilaran City. Meanwhile, Ricardo was rushed to the Clarin Community Hospital but was declared dead on arrival by the attending physician. Based on initial police investigation, the male assailant was wearing a blue hoody, eyeglasses, was around 5’5 tall and aged 20 to 25.